Police have charged a man in connection with two knifepoint robberies in West Norfolk. Officers were called to JD Sports in Lynn High Street at about 9.55am on Thursday 10 January after a man entered the store and threatened a female staff member with a knife before stealing trainers, gloves and clothing. Just before 10.30am at Lynn Road in Downham Market a car was stolen during a knifepoint robbery. Daniel York, aged 20 from King’s Lynn, has been charged with two counts of robbery, one count of possession of a bladed article, one count of driving whilst disqualified and using a motor vehicle without insurance. He's appearing before magistrates in Norwich today. A man who admitted killing his former partner in King’s Lynn has been jailed for a minimum of 20 years. 30-year-old Gediminas Jasinskas, of Tennyson Avenue in King’s Lynn, appeared at Norwich Crown Court this morning after pleading guilty to murder at a previous hearing in December. It's after officers were called to an address in Fenland Road around 10.15pm on 21 September 2018 following reports 26-year-old Cristina Magda-Calancea had been stabbed multiple times outside her home as she returned from work. Cristina Magda-Calancea had been stabbed multiple times outside her home as she returned from work. 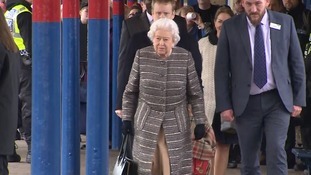 She was taken to the Queen Elizabeth Hospital for treatment, however died. The court heard how Jasinskas fled from the scene after the attack; however made himself known to paramedics near to the Queen Elizabeth Hospital where he stated he "had a moment of passion and lost control and stabbed her.” The police were called and he was arrested. He was taken to King’s Lynn Police Investigation Centre where he further admitted the stabbing during questioning. A man's body has been found in a supermarket car park in King's Lynn. Officers were called to Lidl on Austin Street shortly before 11.30am this morning following concern for the safety of a man inside a car in the car park. Paramedics attended but the man was pronounced dead at the scene. Cancer patients could have to travel 40 miles for treatment under proposals aimed at keeping the area's hospital safe this winter. A goalkeeper from Norfolk has helped England reach the quarter-finals of the World Amputee World Cup.